June was a fantastic month with Laura Jane taking a quick trip to Ireland to shoot more work for the Endless Gone series along the Irish coastline and flying back just in time to attend the gala dinner for the Cube Fair in NYC. 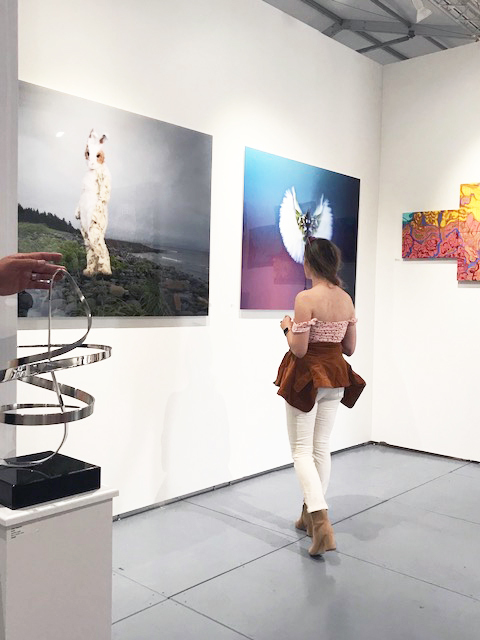 The art Fair was hosted by Vogelsang Gallery based out of Brussels and featured artists from both Europe and North America, including Jane Fleetwood Morrow, Antoine Verglas, Troy House, Peter Mclelann, Guy Stanley Philoche, Laura Jane Petelko and others. The work we featured was from the ongoing Endless Gone series and was very well received in New York! The series Endless Gone is consistent with Laura Jane's approach of emotionally based and atmospheric work but with an abstracted minimalism that is painterly and serene and at times haunting. These are not landscapes or documents but more the memory one might be left with once the details are blurred with time. We are looking forward to planning our upcoming exhibit of this work, as it continues to be in production. Right now the series is available in 2 sizes with very small edition sizes of 5. "Bold as Love" from the Endless Gone Series, Featured at the Cube Art Fair 2018, Chelsea NYC. Laura Jane and fellow artist Guy Stanley Philoche. Laura Jane and fellow artists Collazo Collection attend the gala dinner. We are pleased to announce that work from Laura Jane's Suit of Lights and Endless Gone series will be exhibited In New York City by Vogelsang Gallery in the new Zaha Hadid building at the Highline. Please come check out this wonderful collection of Artists, if you're in the area! You can now follow me on Instagram for the latest news, images, archives and inspirations. all are venus now. moving us in ways we can no longer see.